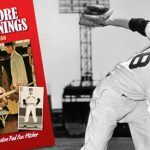 The former Boston Red Sox two-time All-Star pitcher recalls his introduction to winter baseball in the Mexican League in 1953. The President of the Boston Braves Historical Association leads us on a walk down memory lane and demonstrates that while the Braves moved to Milwaukee in 1953, they left a legacy in Boston that lives on 60 years later. 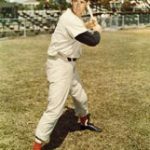 The first time I met Ted Williams, he was as Splendid a Splinter as the legend suggested. It was the summer of 1956, four years before he’d retire as an active player, and I, not yet into my teens, was ready with an autograph book.